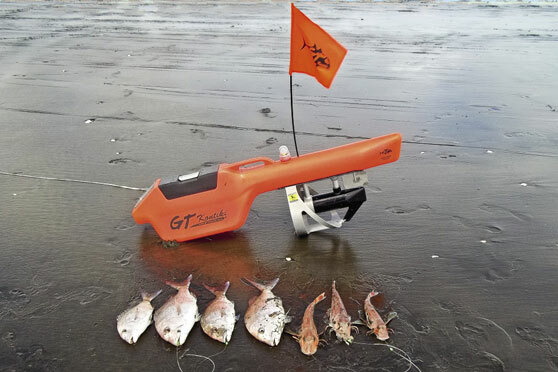 Beach long-line fishing has become extremely popular in recent years with the proliferation of electric torpedo fishing systems. With the ability to tow a beach long-line with 25 baited hooks kilometres out to sea, electric kontikis are an effective way to put high quality seafood on the table while enjoying a social family outing at the beach. John Eichelsheim takes a closer look…In 1947 Norwegian explorer Thor Heyerdahl, seeking to prove that Polynesia was settled by voyagers from South America, crossed the Pacific Ocean on a hand-built balsa raft named Kon-Tiki. By the early 1950s various raft-like contraptions used by Kiwi beach fishers to tow beach long-lines out to sea began to be called ‘kontikis’. 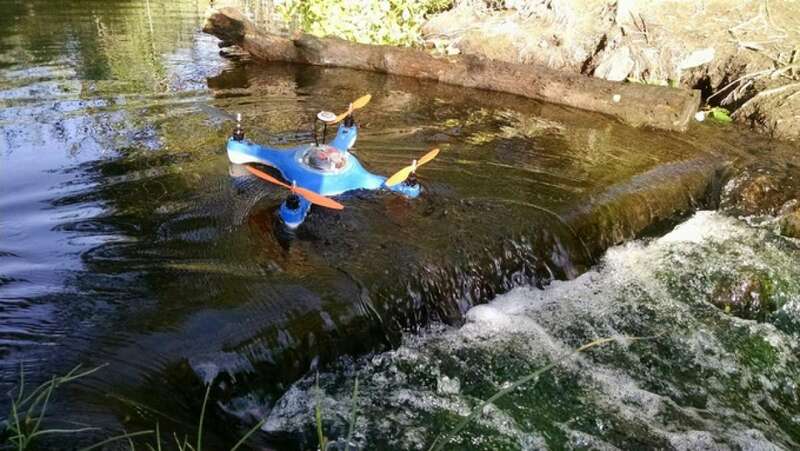 Aguadrone, a crowdfunding project on Kickstarter by Daniel Marion, manages to combine the worlds of fly fishing and remote control aircraft, creating a waterproof quadcopter with some niche potential.Like the Splashdrone, the waterproof Aguadrone floats and carries a camera for underwater picture-taking. But photography is just the baseline here. What makes the Aguadrone a unique vehicle are the other pods that it can carry. There’s a sonar pod, which sends out a 300-foot Wi-Fi signal when in the water, sending its scans of the water below to a cell phone or tablet without the need for a cell tower. This means the pilot can look to see just how deep a river is, and maybe even find fish under the surface.